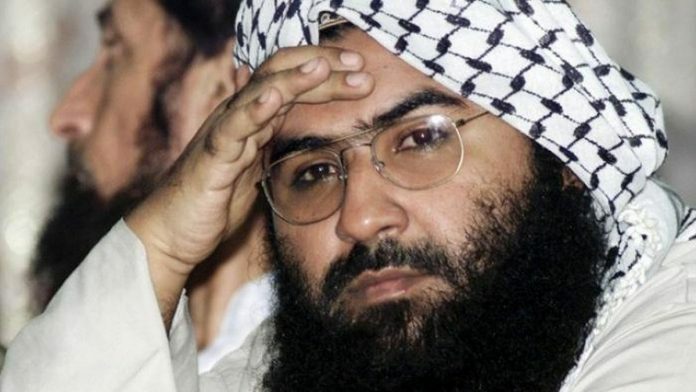 New Delhi: The United Nations Security Council (UNSC) will make a decision late Wednesday on whether to list Jaish-e-Mohammad (JeM) chief Masood Azhar as a designated terrorist under the 1267 Al Qaeda Sanctions Committee. Following the 14 February Pulwama attack and JeM accepting responsibility for it, India launched an aggressive diplomatic manoeuvre to get Azhar listed by the UNSC. The US, France and the UK moved the proposal to get Azhar designated a global terrorist on 27 February. China has blocked such proposals on three past occasions. And, so, the decision Wednesday will depend entirely on China’s move. While India’s chances at getting him listed appear uncertain at the moment, it seems that even if Azhar is designated the sanctions are unlikely to hurt him in any meaningful way. With the crucial meeting set to take place later in the day, ThePrint takes a look at the scope of the UNSC committee, the sanctions and their implications. What is 1267 Al Qaeda Sanctions Committee? The Al Qaeda Sanctions Committee, officially known as the “Security Council Committee pursuant to resolutions 1267 (1999) 1989 (2011) and 2253 (2015) concerning ISIL (Da’esh) Al-Qaida and associated individuals groups undertakings and entities” was established on 15 October 1999 after the UNSC 1267 resolution was passed. The core purpose of this committee is to decide who becomes a designated terrorist, and then oversee the sanctions against them. Originally meant for the Afghanistan-Pakistan region-based organisations, the committee later expanded its scope to include the ISIS. Its list includes terrorists such as the commander of Pakistani Taliban, Maulana Fazlullah, and senior member of Taliban’s Quetta Shura, Abdul Ghani. The committee is composed of 15 member states, including five permanent UNSC members and 10 rotating members. Its decisions are made only by consensus. This consensus based decision-making procedure is why China has successfully succeeded in blocking the listing of Azhar as a global terrorist. The sanctions under the 1276 committee involve three aspects. First, they call for an asset freeze — all member states are required to freeze the funds and other financial assets of the designated individual. Additionally, assets of related individuals and entities are also to be frozen. Second relates to a travel ban — all member states are required to ban the entry or transit of the designated individual. Lastly, the sanctions call for an arms embargo. Under this, all member states are required to prevent “direct or indirect supply, sale and transfer from their territories or by their nationals outside their territories, or using their flag vessels or aircraft, of arms and related materiel of all types, spare parts, and technical advice, assistance, or training related to military activities, to designated individuals and entities”. The reason why these measures are unlikely to hurt Azhar has everything to do with the very nature of his operational identity as a terrorist. Azhar resides in Pakistan and doesn’t travel outside, and his JeM is protected by the Pakistani state. One way to look at this is to assess the case of Lashkar-e-Taiba (LeT) chief Hafiz Saeed. Saeed became a designated terrorist under the 1267 Al Qaeda Sanctions Committee in 2009. But this has had little impact on his operations. He continues to move around freely in Pakistan and often addresses public rallies, which are reported by the mainstream Pakistani media. Moreover, the political arm of LeT, called Jamaat-ud-Dawa, which is headed by Saeed, formed a political party in 2017, Milli Muslim League. However, the Election Commission of Pakistan refused to recognise the party. Following that, it formed another party called Allah-O-Akbar Tehreek and contested the 2018 Pakistan national elections. In the case of Maulana Fazlullah, his terror organisation the Tehreek-i-Taliban Pakistan (TTP) suffered reasonable losses. However, the gains there came only after the Pakistani state went after Fazlullah’s TTP. Fazlullah was killed in a drone strike last year. The UNSC sanctions have had no material effects on Saeed’s operations. Additionally, terrorists like him often change the name of their organisations to work around international sanctions. However, Fazlullah’s case clearly demonstrates that action against designated terrorists in the region can only yield something if Pakistan shows willingness to act. At the moment, though, it is hard to argue against the perception that getting Azhar recognised as a UNSC terrorist would be anything more than a symbolic victory for India.